This collection brings together key texts and previously unavailable essays of the influential Italian feminist author and activist Mariarosa Dalla Costa. In recent years there has been both a renewed interest in theories of social reproduction and an explosion of women’s struggles and strikes across the world. The collection offers both historical and contemporary Marxist feminist analysis of how the reproduction of labour and life functions under capitalism. Dalla Costa’s essays, speeches, and political interventions provide insight into the vibrant and combative women’s movement that emerged in Italy and across the world in the early 1970s. 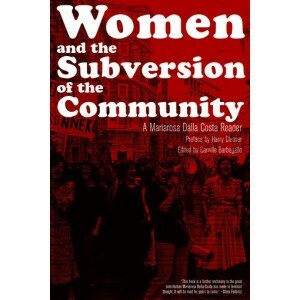 Since the publication of Women and the Subversion of the Community (1972), Dalla Costa has been a central figure in the development of autonomist thought in a wide range of anticapitalist and feminist social movements. Her detailed research and provocative thinking deepens our understanding of the role of women’s struggles for autonomy and control over their bodies and labour. These essays provide critical and relevant ideas for anticapitalists, antiracists, and feminists who are attempting to build counterpower in the age of austerity. Mariarosa Dalla Costa is an influential Italian Marxist feminist and activist. 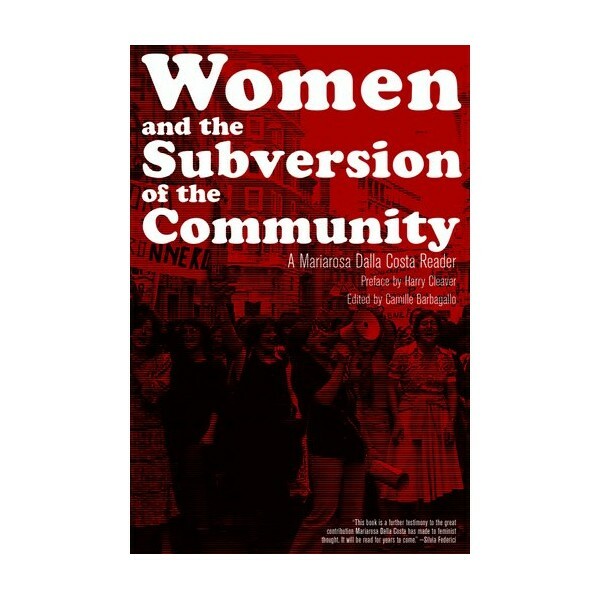 She is the coauthor of the classic feminist text The Power of Women and the Subversion of the Community, with Selma James. This text launched the “domestic labor debate” in the early 1970s by redefining housework as reproductive labor necessary to the functioning of capitalism and as work that has been rendered invisible by its removal from the wage-relation. Her research has been translated into multiple languages and published in journals, edited collections, and monographs. Harry Cleaver is an American scholar, Marxist theoretician, and professor emeritus at the University of Texas at Austin. He is best known as the author of Reading Capital Politically, an autonomist reading of Karl Marx’s Capital. Camille Barbagallo is a feminist activist and researcher. Her research, situated within Marxist feminist theory, gender, and black studies, explores how the reproduction of labour-power is valued, what it costs, and who pays the bill. She is the coeditor of The Commoner no. 15, Care Work and the Commons, with Silvia Federici. Before migrating to London in 2005, she lived and worked in Australia and was active in labour struggles, the national student movements, and in radical social movements that focused on ending the mandatory detention of asylum seekers and campaigns to close the refugee camps.